Lately, I’ve been having conversations with colleagues regarding how to communicate number line concepts in the classroom. Specifically, I’ve been giving examples of how understanding number lines may lead to a more stable mathematical foundation. 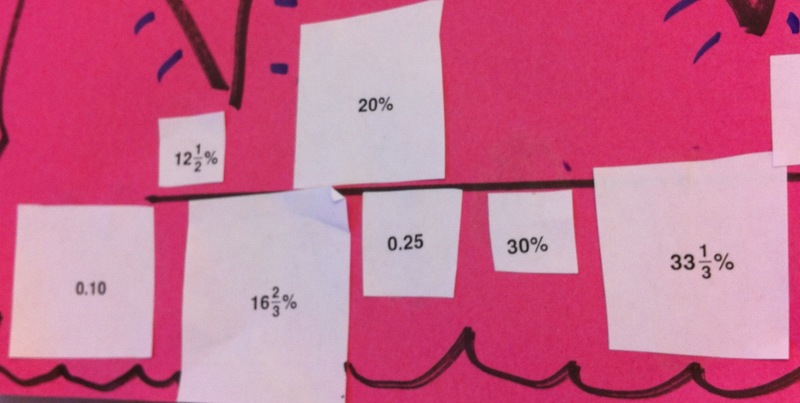 In the past, my class has created various products related to the number line. My original inspiration came from this number line below. The project seems simple, right? Well … it took about 20 minutes for the cutting, coloring, and gluing. 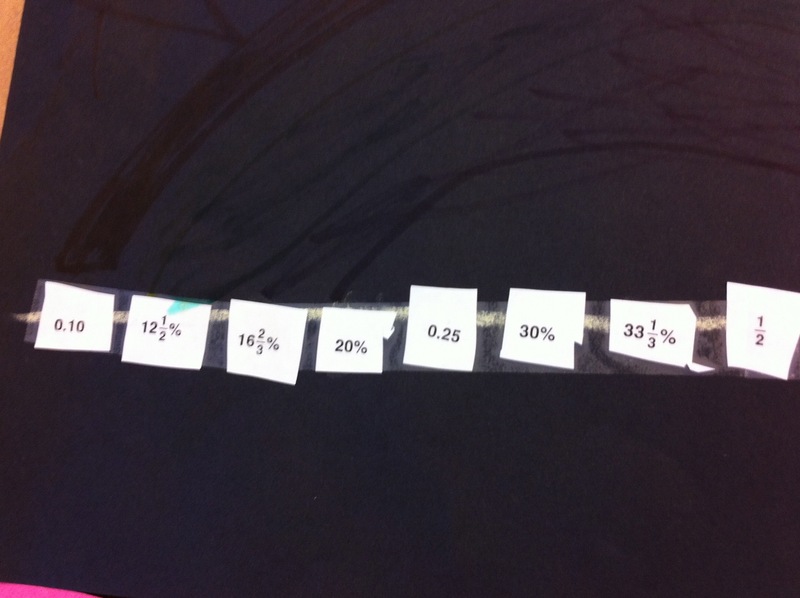 I then facilitated a classroom discussion after the number lines were presented. The math curiosity (I really like that term) and discussion that followed the project seemed beneficial. It’s truly amazing to see what type of concepts can be discussed when observing the number line through a variety of lenses. Our conversations touched on the concepts of absolute value, positive/negative numbers, fractions and mixed number conversions, addition of negative numbers, and place value. In fact, the math conversation lasted 30+ minutes. Having these types of “math chats’ with third graders was a phenomenal learning experience. All of the concepts discussed will be introduced later in their academic career, and hopefully I gave my students a quick preview to what is to come.